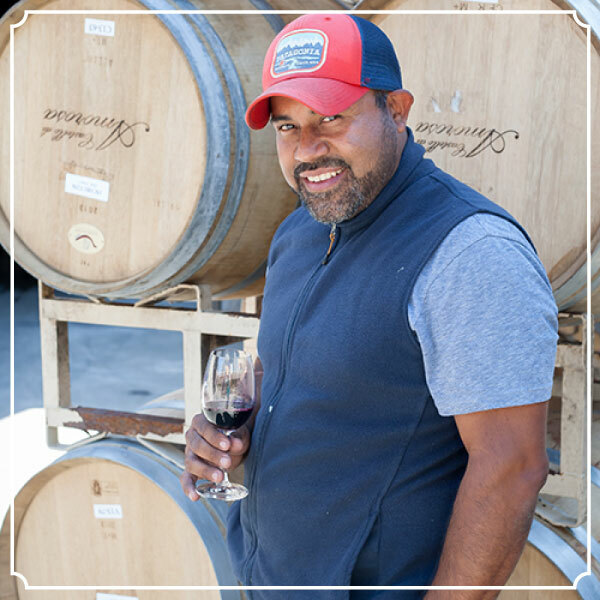 Margarito Rivera joined the Castello team in 2017, having worked with Director of Winemaking Brooks Painter nearly two decades ago at another Napa Valley winery. 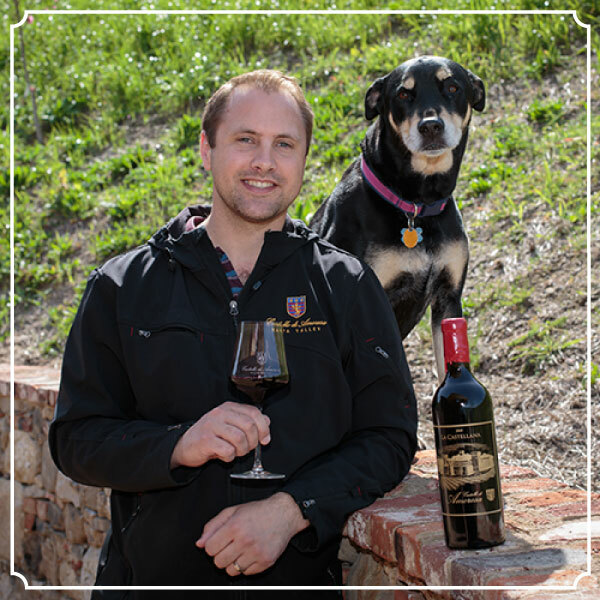 His dedication and excellent work ethic have made him a valuable addition to our winemaking team. 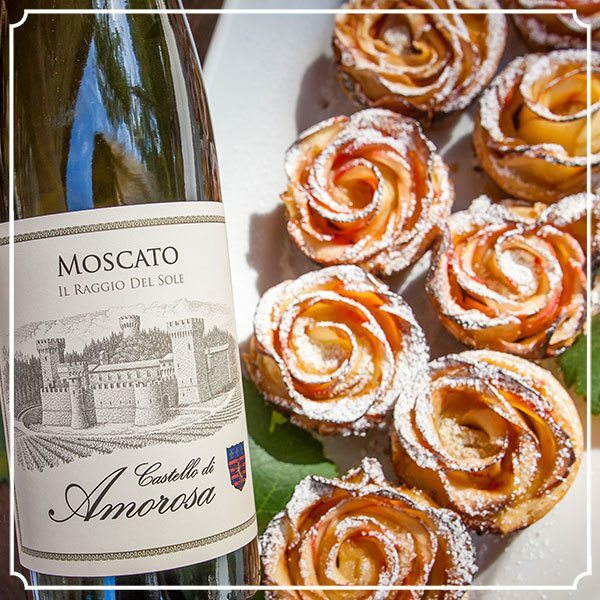 Antoinette is the Director of Hospitality and Events for Castello di Amorosa, and has been with the Castello since 2016. Antoinette has deep roots in Wine Country as a Napa Valley Native. Her entire family has been involved in the hospitality industry from hotels to restaurants to wineries since their arrival to Napa Valley in the 70’s and 80’s. Antoinette spent over a decade serving at award-winning fine dining restaurants in the Wine Country and Bay Area. Antoinette is passionate about event design and event planning beginning with her work with CANVAS in 2011 (Concierge Alliance of Napa Valley and Sonoma). After jumping into the world of event planning with CANVAS, Antoinette planned events at luxury hotels in Wine Country and eventually made her way to the Castello. One of her best accomplishments is designing, planning and executing events for 900+ guests at the Castello, including our annual Pagan Ball, which received the North Bay Bohemian’s “Best of the North Bay” award for “Best Winery Event” in 2018. Antoinette is a board member for the Wine Country Special Event Planner association, a member of the International Live Events Association, and a member of Meeting Planners International. Michala Jeberg spearheads Castello di Amorosa’s publicity and marketing initiatives. Joining the Castello team in 2017, Michala has more than 15 years of experience building iconic beverage and food brands for companies like Nestlé and Colgate-Palmolive. Born in Denmark, she obtained her bachelor’s and master’s degree in economics and business administration at Copenhagen Business School. Leaving Denmark in 2012, Michala and her family moved to Sonoma County to seek new challenges, which include serving on the board of the Napa/Sonoma chapter of Women for WineSense. Michala recharges her batteries by playing tennis, going camping and tending to her family vineyard in the Fountaingrove AVA. 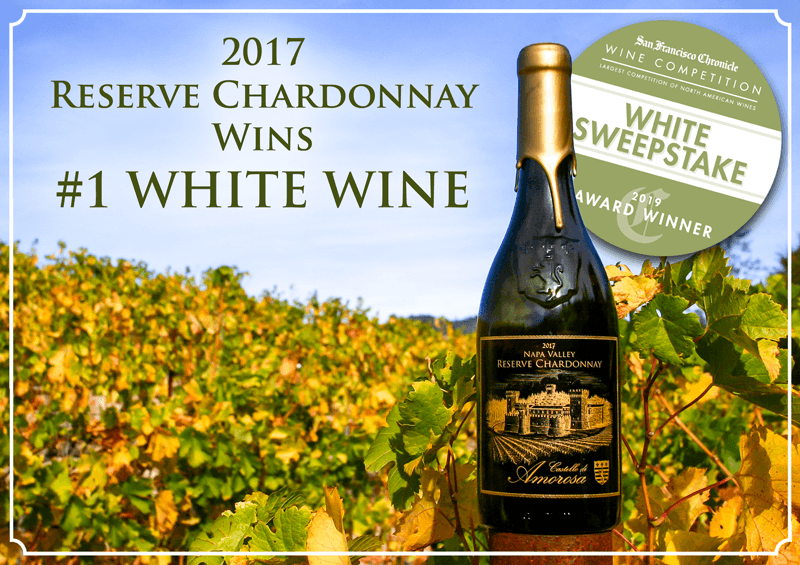 We are thrilled to announce that our 2017 Reserve Chardonnay was named the White Sweepstakes Winner in this year’s San Francisco Chronicle Wine Competition, which is the largest competition of wines from across the United States, Canada, and Mexico. 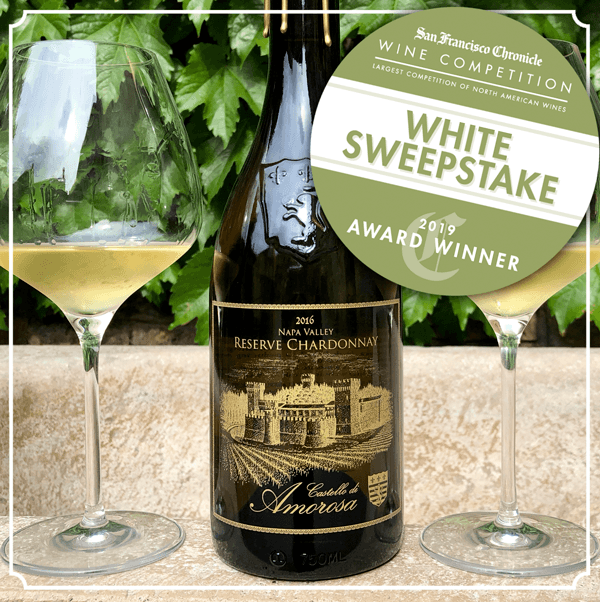 Over 64 professional wine judges evaluated over 6,800 wines from 1,132 wineries, and our Reserve Chardonnay was one of 9 wines which were awarded sweepstakes medals. To achieve this distinction, our Chardonnay had to win in its price category, then win against all other Chardonnays across all price points (which comprised over 60% of the 2,500 white wines in the competition), and finally triumph in the field of all other winning white wine contenders. 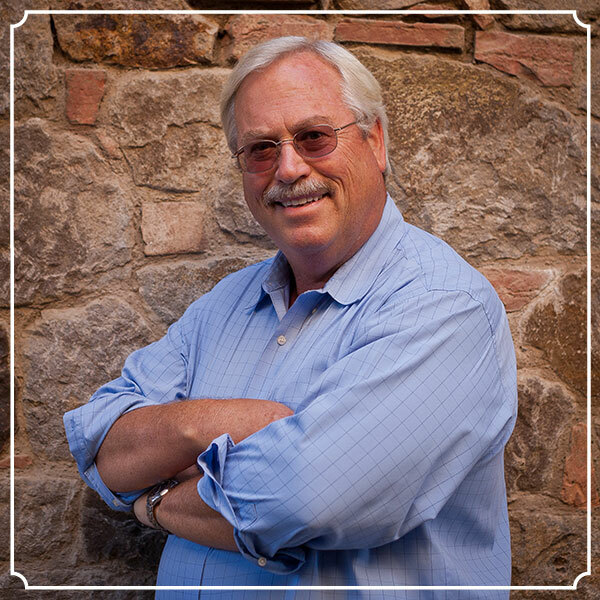 The public will have a chance to taste the award winning wines at The San Francisco Chronicle Wine Competition’s Public Tasting on Saturday, February 16 from 1:00 to 4:00 p.m. at Fort Mason Center’s Festival Pavilion in San Francisco. Click here for tickets and additional information. Our 2017 Reserve Chardonnay was sourced from two vineyards in the cooler southern end of Napa Valley, and harvested between August 17 and September 13. It was fermented and aged sur lie in 100% new Burgundian oak barrels, with 75% of the wine undergoing malolactic fermentation, which lends to a round and balanced full-bodied Napa Valley Chardonnay with lush notes of baked apple, ripe pear, fall spices and toasted almond. Mary Davidek, who runs our highly acclaimed Royal Food & Wine Pairing Tour at the Castello, recommends pairing creamy dishes such as Fettuccine Alfredo with the Reserve Chardonnay, to complement the creamy elements in the wine. 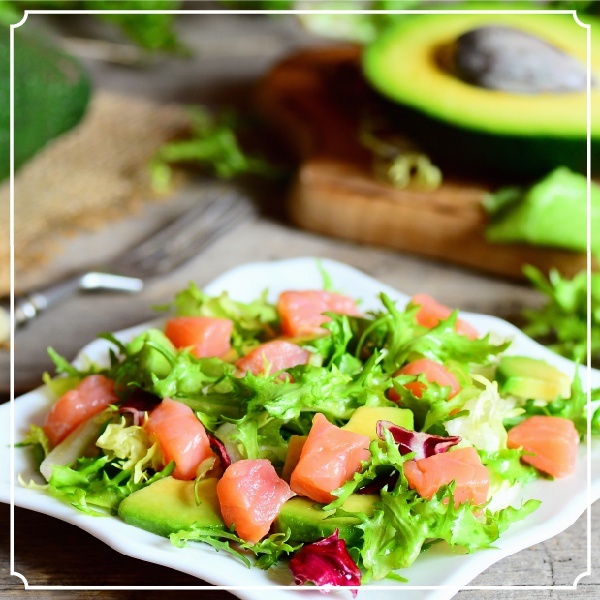 For a lighter pairing, her Ahi Avocado Salad with Ponzu (pictured below) makes a bright and refreshing accompaniment to the full-bodied Chardonnay. We are so proud of our fantastic winemaking team, and look forward to sharing all of our award-winning wines with you! Core apples and slice in half from top to bottom (do not peel). Cut halves into paper thin, crescent-shaped slices (use a mandolin slicer if you have one for faster and easier slicing). Fill a microwave safe bowl halfway with water and add lemon juice. Place the sliced apples into the bowl immediately to prevent browning. Once all apples have been sliced and added to the bowl, microwave for 3 minutes to soften the slices, making them easier to roll into your roses. If you prefer, you can also simmer the slices in a pan on the stove until soft. The slices should be able to easily bend without breaking. On a lightly floured surface, roll out the puff pastry sheet into a rectangular shape roughly 12×9″. Cut the dough into 6 strips, 2×9″. Repeat with second sheet of puff pastry. In a small bowl, combine apricot preserves and two tablespoons of water. Microwave until warm (making it easier to spread on your puff pastry slices). Spread a small amount of apricot jam onto your pastry strip. Starting at one end of each pastry strip and working your way across, place apple slices with the skin side sticking partly off the strip, overlapping each slice partly to create the “petals” of your roses. Leave the bottom half of the pastry strip empty. Sprinkle apple slices with cinnamon sugar and fold the bottom half of the strip up to tuck in the bottom half of your apple petals. Starting from one end, carefully roll up the strip, making sure to keep the apple slices in place. Seal the edge at the end and place the rose in a greased muffin pan. Repeat with remaining strips. Bake for 40-45 minutes. Check the roses 30 minutes into baking, and if the tops of the apples are starting to crisp, move the pan to the lower rack of the oven or cover with a piece of aluminum foil to prevent burning. Sprinkle finished roses with powdered sugar or drizzle with caramel sauce, and serve while warm. Roses can be stored in an airtight container for 2 days on the countertop or 3 days in the refrigerator.